Forensic audio enhancement is a scientific process. Remove the unwanted sound and increase the wanted sound. In many cases, based on our 34 years of experience, the wanted sound is most always dialogue. 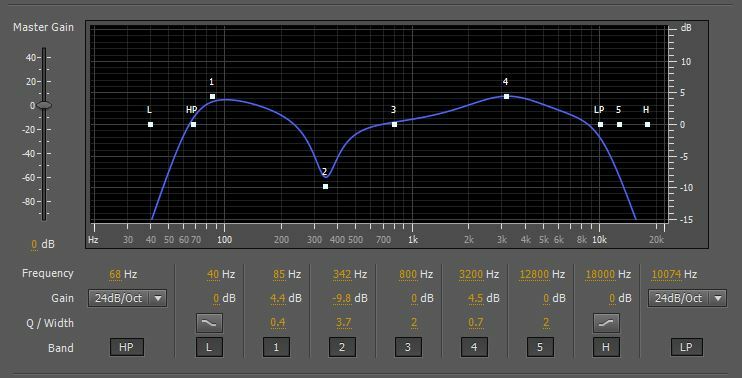 An equalizer is one of the most important filters or tools for audio enhancement. This is true for an audio engineer as well as an Audio Forensic Expert. There are many different types of equalizers with different capabilities. The core functions are always the same. Users may increase or decrease sound levels and frequencies. Frequencies that should be considered when performing forensic enhancement are 20 Hz to 20 kHz. All frequencies that fall into that range are called ‘frequency bands.’ Each frequency band is typically marked by its center frequency, while the width of the band will vary between different equalizers. Some equalizers even allow the frequency band and the width to be adjusted. These tools are crucial when performing a forensic audio enhancement. Noise and other unwanted extraneous frequency content is usually the biggest issue with audio recordings. Equalizers and filters offer the ability to remove narrow ranges of unwanted frequencies so that these unwanted noises can, for the most part, be removed from the recording. This focused process leaves all wanted frequencies like dialogue untouched. One of the software programs we use at Primeau Forensics is Adobe Audition. It comes with the Adobe Creative Cloud Suite. Our favorite filter in Audition is the Multi-band Compressor. A compressor is another type of filter that helps enhance an audio recording to expose wanted sounds and remove unwanted sound. Another company, iZotope, has added some of their filters to Adobe Audition. Their noise reduction filter is also an excellent tool for removing unwanted sound. Critical listening skills develop over time and are also referred to as ear training. Each of us has a different perception of sound. In other words, our hearing is unique to each individual. What we hear from a set of speakers or headphones is unique to us as individuals. In order to develop your critical listening muscle, you must experiment and observe. Remember, science is observation. When using an equalizer, it’s important to be careful to boost or increase frequencies and amplitude (volume) gradually. It is also important to reduce or cut different frequency ranges selectively. This is because some of the time, removing a certain noise that appears to be at a certain frequency may seem to help. However, there could also be a lot of important wanted or voice content in that same frequency range. Making the proper adjustments with an equalizer requires both experience with the equipment, critical listening skills, and a lot of trial and error. When we process an audio recording for forensic enhancement, we note the types of filtering and associated outcomes in our work notes. Work notes include the various filters applied to a recording, the differences in sound quality and intelligibility. The settings are then noted. Experience, the more time spent and the more audio enhancements that are successfully completed. We are extremely familiar with frequency ranges and improving the quality of audio recordings. Now listen in with Audio and Video Forensic Expert Ed Primeau as he discusses the use of equalizers in forensic audio enhancements. The post Forensic Audio Enhancement -Equalization appeared first on Primeau Forensics.